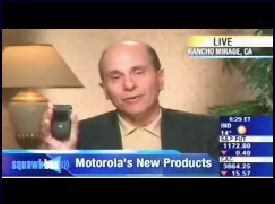 Motorola CEO Ed Zande today showed off a new black RAZR V3 phone that will be given away in the Oscar goodie bags. MobileTracker noted earlier this month that Motorola was expected to add new colors and shapes to the RAZR line because sales have been so strong. However, it's not clear if this device is only for the Oscar bags or if it will make it to store shelves. Motorola gave away the V600 in last year's Oscar goodie bags. 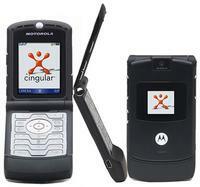 A screenshot of CNBC that shows the black RAZR V3 is available below. [via] Update: Press shots have surfaced (see at right)... More info should be available soon. Via Engadget.